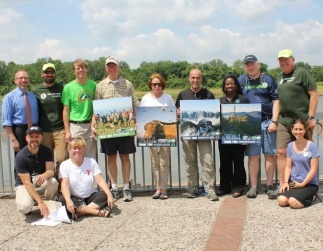 June 23 -26, 2014 marked the annual Great Outdoors America Week, where 100s of advocates descended upon Washington, DC, to remind our nation's leaders of the importance of America’s great outdoors. 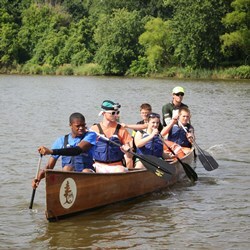 OAK celebrated GO Week by hosting our second annual Youth and America’s Great Outdoors Event. Dozens of OAK members joined over 400 youth for a festival along the Anacostia River at Bladensburg Waterfront Park in Maryland. “As we celebrate Great Outdoors America Week, we remember the work done over the past century to protect millions of acres of federal land, and over the past 50 years to protect priceless American wilderness. We’re reminded of the importance of preserving the health of our planet and connecting children and families to the natural world. EPA looks forward to continuing our work to improve air quality and protect our nation’s waterways, so all Americans have the opportunity to enjoy the great outdoors." A huge thanks to all OAK members and friends who pitched in, including American Camp Association, American Forests, American Heart Association, American Hiking Society, Anacostia Watershed Society, Appalachian Trail Conservancy, Children & Nature Network, City of Saint Paul Office of the Mayor, City Parks Alliance, The Corps Network, Earth Conservation Corps, International Mountain Biking Association, Izaak Walton League of America, National League of Cities, National Park Service, National Park Trust, National Parks Conservation Association, National Recreation and Park Association, NOLS Expedition Denali, North American Association for Environmental Education, The Outdoor Foundation, Patuxent Research Refuge, Prince George’s County Department of Environmental Resources, Public Lands Service Coalition, Rails-to-Trails Conservancy, REI, River Management Society, Sierra Club, Sierra Club Foundation, Urban Waters Federal Partnership, US Army Corps of Engineers, US Bureau of Land Management, US Environmental Protection Agency, US Fish and Wildlife Service, US Department of the Interior, US Department of Transportation, Wilderness Inquiry, The Wilderness Society and the YMCA of the USA. 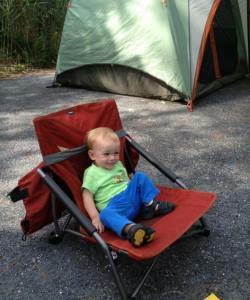 Read more about GO Week and OAK's Youth event on OAK’s Blog, The Corp Network, the Sierra Club and The Wilderness Society. Can you help identify someone in your organization who has a passion for communications, blogging, engaging press or website design? They should join OAK’s Communications Committee today! Co-Leaders, Eugenie Bostrom from Public Land Service Coalition/Conservation Legacy and Jen Hofman from YMCA of the USA are hoping to find a group of dedicated and enthusiastic individuals that would like to help expand OAK’s communications platform. Interested? Fill out an application today and join the Communications Committee on a call to learn more! 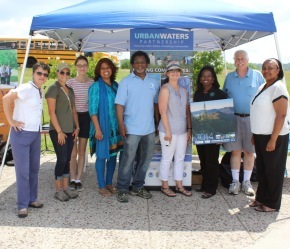 The Urban Waters Federal Partnership participated in OAK’s Youth and America’s Great Outdoors Event. This event was just the start of ongoing collaboration between OAK and the partnership. If your organization would like to get more involved with the UWFP, contact Alyssa today! Want to contribute to OAK’s blog or social media platforms? We want to hear from you. Submit your request now! Is your organization hosting a conference or event that you would like featured on OAK’s event calendar? Submit your request now!